A cleansing and make-up removing water that gently purifies combination, oily skin, or blemished skin. Can be used on the face by adults and teens. Use morning and night, everyday. Soak a cotton pad with Sébium H2O and gently cleanse and/or remove make-up from your face. Re-apply until the cotton pad becomes clean. Lightly dab your face with a clean cotton towel. 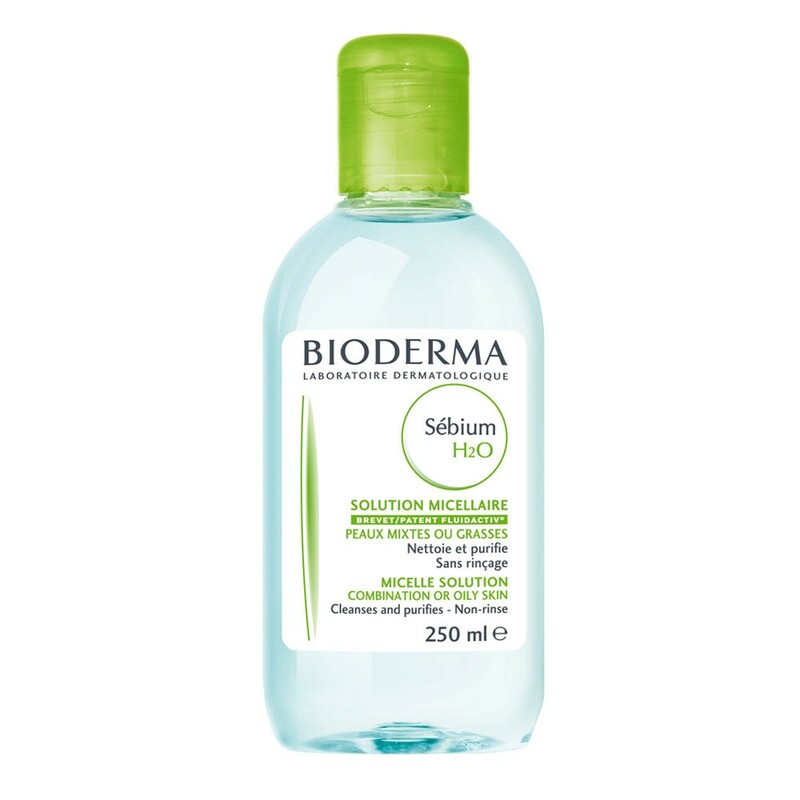 Sébium H2O is the 1st specific make-up removing micellar water for combination or oily skin that mimics the natural composition of the skin for perfect make-up removal and total respect for even the most sensitive skin. Thanks to the Fluidactiv patented sebo-correcting complex, it biologically regulates sebum quality to keep the pores from becoming clogged and clear up the skin. Enriched with purifying agents, zinc gluconate and copper sulphate, Sébium H2O purifies the skin and limits sebaceous secretion.